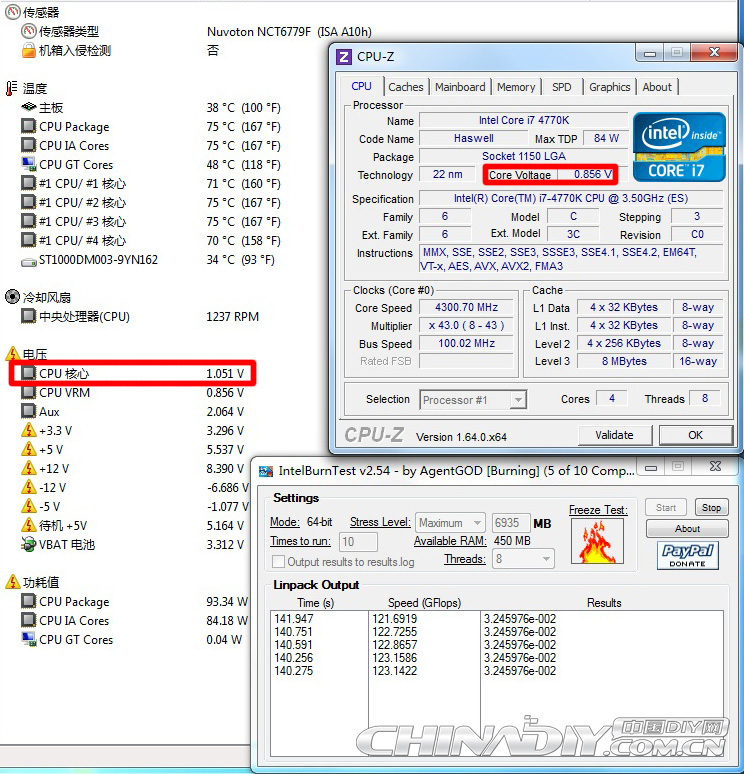 The first Intel Haswell Core i7-4770K has gone live by Chinadiy which has thoroughly detailed the fourth generation flagship processor. 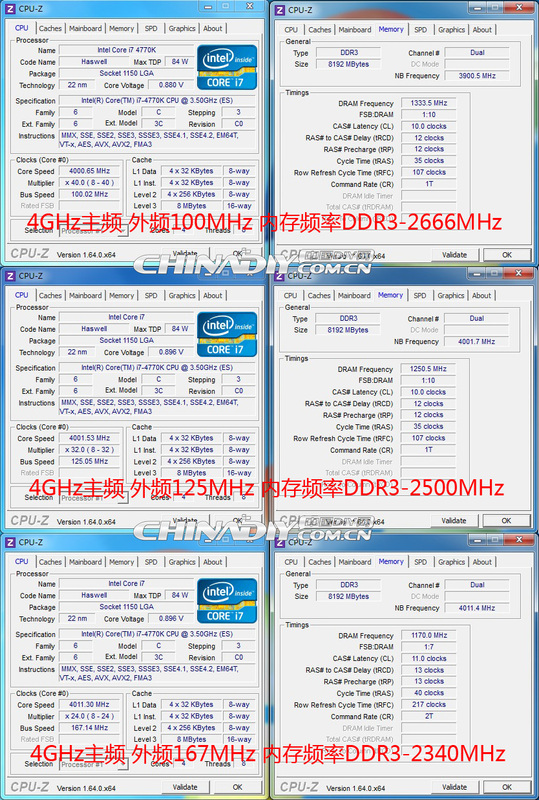 Intel’s Haswell processors would officially launch on 2nd June 2013 but the complete processor lineup was listed by various E-retail outlets across China only yesterday which came as a surprise including the early appearance of a complete review. Intel’s Core i7-4770K would lead the fourth generation desktop processors based on the 22nm Haswell micro-architecture. The processor itself is a quad core with a multi-threaded design that allows for faster processing in applications that use multiple cores. 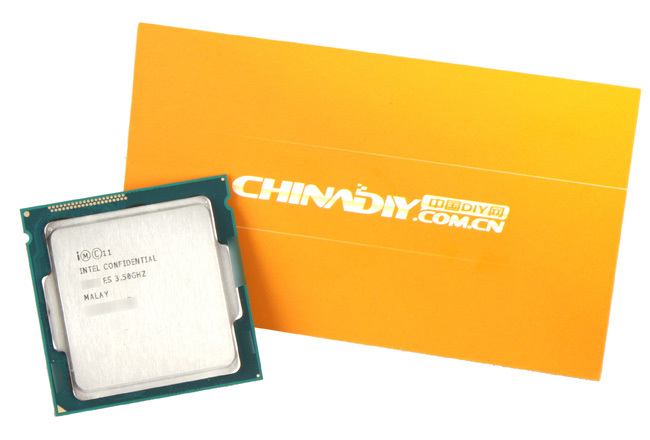 The Core i7-4770K comes with a base clock of 3.50 GHz and turbos all the way upto 3.90 GHz on all cores, features 8 MB of L3 cache and an 84W TDP (due to the addition of an iVR module). 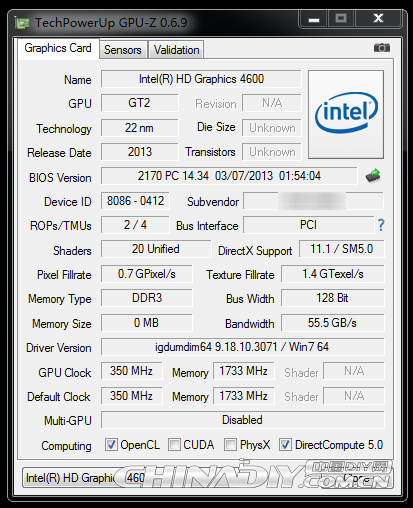 The GPU side has been further pumped up by Intel with their fourth generation HD graphics core on the desktop processors codenamed GT2 HD 4600. 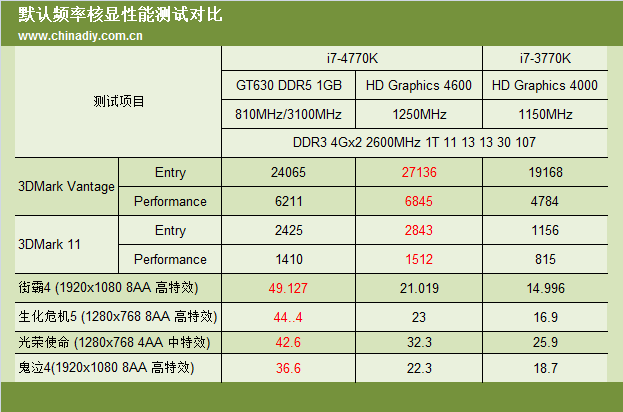 The GT2 level iGPU which would be clocked at 1250 MHz (1.25 GHz). 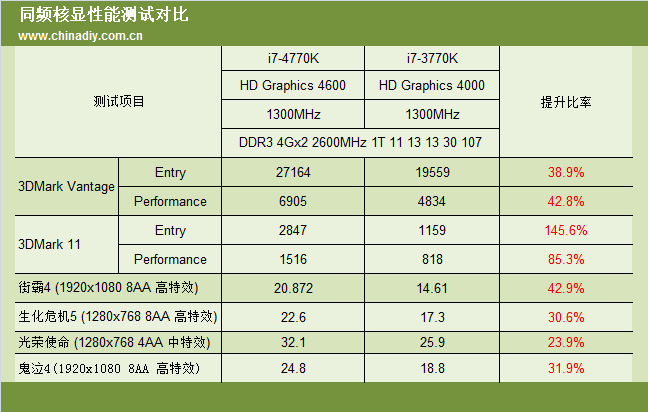 Although its a nice improvement over the HD 4000 iGP pushing the visual power of integrated graphic processors further, the main technological advancement in this sector has been restricted to mobile and BGA chips which come with the HD Graphics processor codenamed “Iris” and “Iris Pro”. 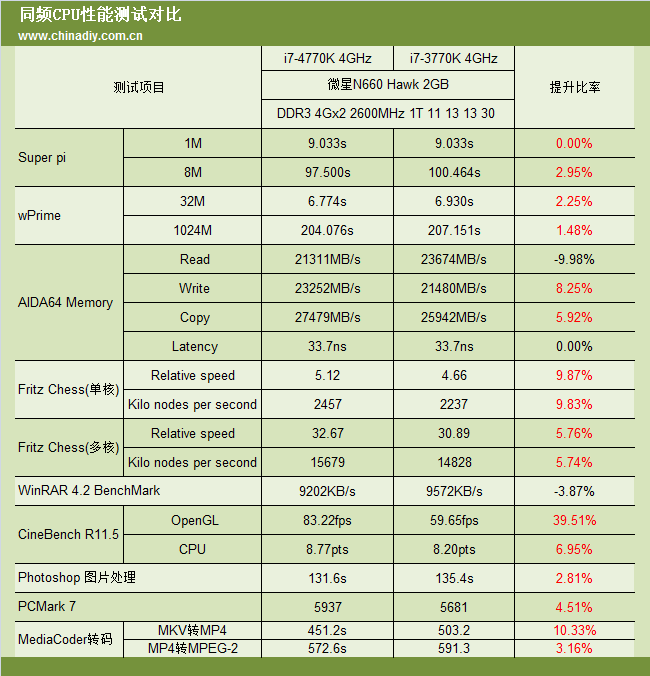 None of these models are available on the desktop Haswell processors and would be limited to Ultrabooks, Notebooks and NUC PCs. 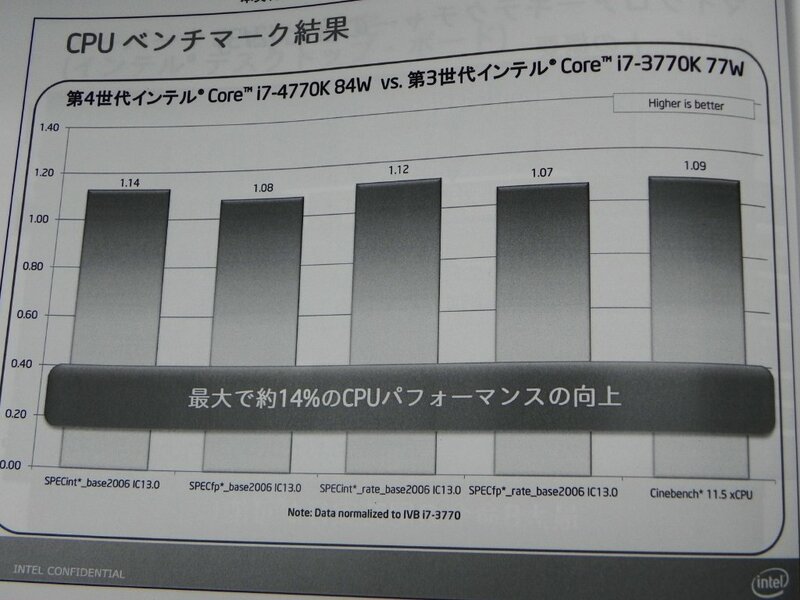 Benchmarks of the Core i7-4770K processor in synthetic and gaming benchmarks can be seen along with HD 4600 vs HD 4000 below. 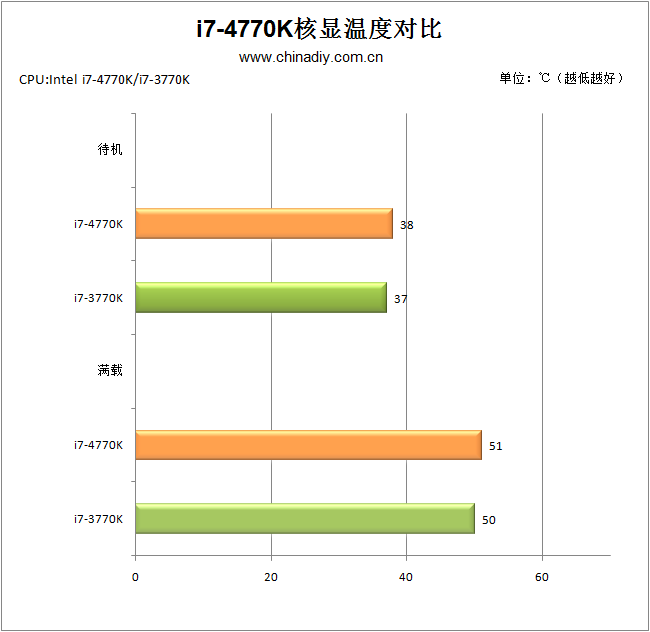 As you might note, we aren’t looking at any spectacular improvement of Haswell Core i7-4770K over Core i7-3770 Ivy Bridge. 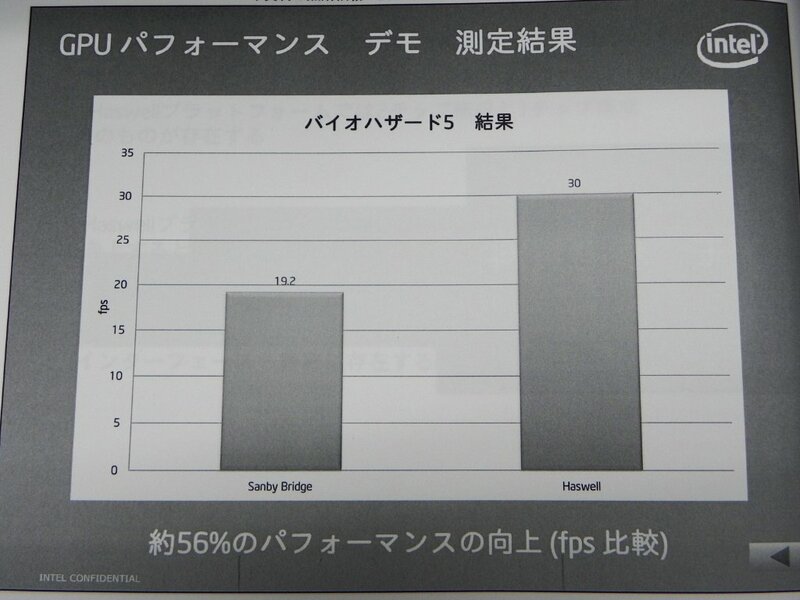 At best, the benchmarks are under 5% average improvement over last years architecture. 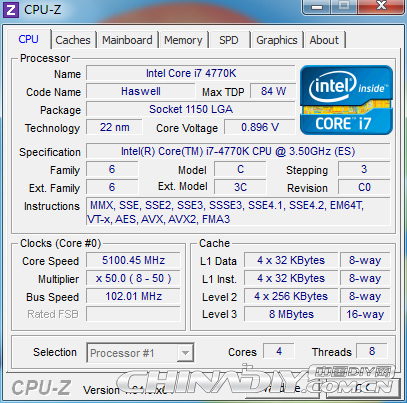 At 4 GHz clock-to-clock comparison, the performance difference diminishes even more even though overclocking is far easier with the Haswell architecture due to BCLK/FSB options similar to the Sandy Bridge-E processors. What is even worse for Haswell in this state is that at stock, the Core i7-4770K barely improves gaming performance representing only 1% improvement over the 3770K. 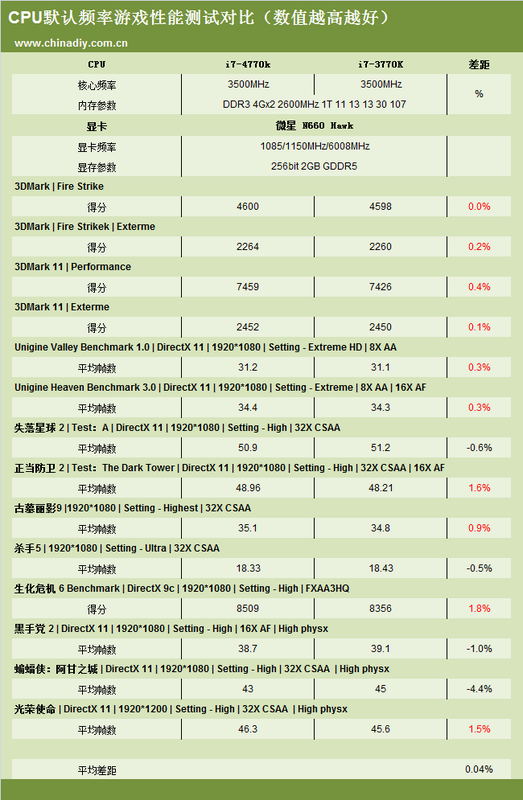 The upgrade to Haswell is only worth if you are upgrading from either Clarkdale or Nehalem architecture’s otherwise from the review results, i’d advise even Sandy Bridge users to stick with their current platforms. 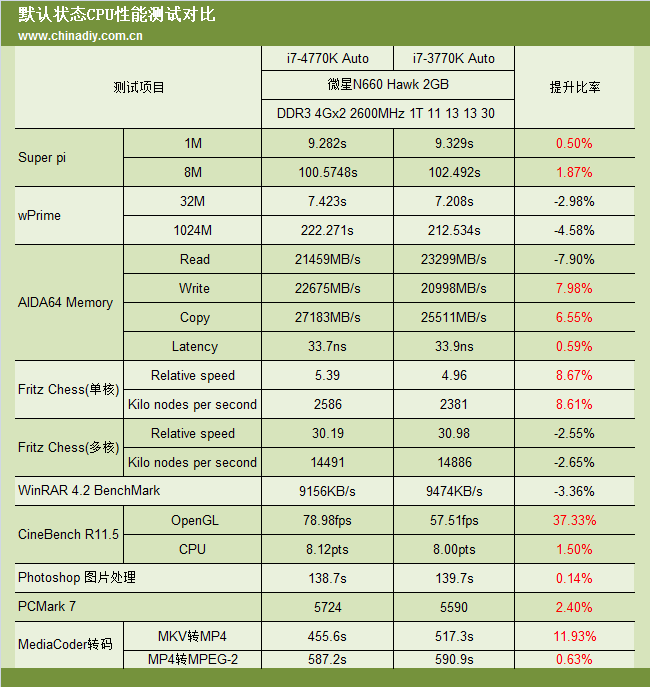 The only notable improvement in Haswell processors would be its HD 4600 graphics chip which offers around twice the performance over HD 4000 but for a chip that costs $300+, it would be mad to not use a discrete graphics solution. Haswell is only worth an investment if you are upgrading from a really old CPU architecture or looking for some great overclock numbers, otherwise due to barely any competition from AMD, Intel has stick with improving power efficiency and graphics power of their Haswell desktop lineup other than boosting the integral core performance. If you can read Chinese (or just use Google translate), do read the complete review at ChinaDIY!